"albert [sic] exists to support the UK production and broadcast industry’s transition to environmental sustainability, working in collaboration to accelerate the adoption of best practice." It does not seem to include much Green ICT in its practices, despite how digital the media industry has become. This appears to be a consequence of albert's focus on the first part of the media workflow - acquisition - and not on the subsequent parts like postproduction and distribution, which are more ICT-intensive. Most of the case studies on the site feature studio and location shooting and the biggest tech trend is the move to LED lighting. The Producers Guild of America (PGA) has bee steadily increasing its investment in Green Media resources. 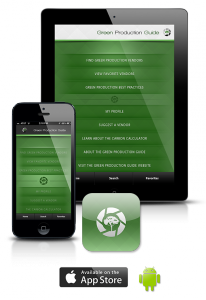 We link to its its Green Production Guide on our Sustainable Media Creation Practices page PGA's latest offering is the Green Production Guide Mobile App. The iPhone/Android app "...features a searchable database of vendors with information about their green products, services, their production experience, and what locations they serve...you can instantly search a database of 2,000+ companies that provide sustainable and energy saving products and services for film, television and commercial productions." BS 8909:2011 is the United Kingdom's specification for a sustainability management system for film. "BS 8909 can be applied across the film supply chain from planning to production, through to editing, distribution, screening and archiving." I was disappointed that none of the the four case studies provided dealt with any ICT sustainability. ICT is critical to the entire contemporary 'film' workflow, from digital cinematography to digital cinema. 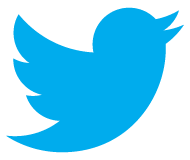 We added a link to the specification (and its case studies) to our Sustainable Media Creation Practices page. London's Green Screen report offers a broadcast case study on how cutting e-waste also saves money. "A major news studio was annually spending c£25K on disposable batteries to power the wireless talk back units used by floor managers... following a successful trial, it was discovered that battery technology has evolved sufficiently to provide the necessary reliability, and senior management sanctioned the switch over. The investment in suitable rechargeable batteries cost £1.5K, and is delivering per annum savings of around £23K." Note that this is a 15X ROI in just the first year. The Netherlands' The Green Film Making Project "...challenges film professionals to work more sustainable. Since 2012, the Green Film Making Project collaborates with production companies, sustainable entrepreneurs, film schools and leading institutes in the film sector." We added a link for its "How to Green Your Film Production" to our Sustainable Media Production Practices page. ClearEdge Power (formerlly UTC Power) announced two media facility installations of its PureCell combined heat and power (CHP) fuel cell system. The NewsCorp installation (NY-USA) will generate "a significant portion of its electricity for TV studios [and will] prevent the release of more than 675 metric tons of carbon dioxide annually…" The CBS Studios installations (CA-USA) at "Studio Center and Television City will produce a total of 2.4 MW of power, satisfying 40 percent and 60 percent of the studios’ electricity requirements, respectively. Thermal energy from the systems will be utilized to provide cooling for both studios [and will] prevent the release of more than 2,370 metric tons of carbon dioxide annually…" It appears all these installations will achieve these CO2e reductions with the use renewable biogas. The company announced last year that a Cox Communications installation (CA-USA) would power "…a master telecommunications center and data center…by a blend of biogas and natural gas." Post magazine's Green Initiatives article features four businesses that are applying sustainability techniques to production and postproduction facilities. These include a new studio aiming for LEED certification, low-energy dissipation of heat from studio operations, and recycling of physical media. Editor Randi Altman sourced Vertatique for this article. NBC/Universal reports that The Tonight Show with Jay Leno "Reduced the show’s paper usage by 16 reams a week (or 1 tree a week, adding up to 50 trees every year) by utilizing digital distributions for paper-related materials." The production also "Transitioned to rechargeable batteries, which is currently saving 120 batteries a week or 5,400 a year." Reports UK's Guardian, "Harlequin 1…is hailed by owner British Sky Broadcasting as Europe's most sustainable broadcast facility…The company…has worked with architects Arup to ensure that all methods of reducing energy use and generating renewable energy were explored…Harlequin 1 has a calculated CO2 emissions rate of 26.3 Kg CO2/m2 per annum – the lowest achieved for a broadcasting centre in Europe, says BSkyB." Its many sustainability features earned the facility a Sustainability Project of the Year recognition from the BusinessGreen Leaders Awards 2011. Pixar/Disney's John Lasseter has called Hayao Miyazaki "the worlds greatest animator". Much of Miyazaki's work, especially the now-classic Princess Mononoke, has powerful environmental themes. Miyazaki, a renewable energy supporter, has been inspired by Japan's earthquake/tsunami to call for filming without the use of nuclear power. Hear this and other engaging topics in the three Miyazaki interview videos at CNN International. WEILANDFILM is a German media company that embraces green production practices. Canada emerged as a center for global film and video production in the 1990s. Green Screen Toronto is an initiative designed to advance sustainability within that media hub. GST's Resource Guide, while focused on Ontario, gives content creators everywhere an idea of the kinds of options that they can seek out within their own locales or when doing work in the Toronto area. HP on Avatar's New Zealand render farm: "The HP team worked extensively with Weta Digital to run the system at optimum power efficiency, resulting in dramatic power and cooling savings. Through water-cooled radiators, closed rack space, and passive rooftop heat exchangers, the data center stayed cool while running full time and often at full capacity, with no air conditioning. The cooling cost was equivalent to that of turning on a few electric water pumps." A Berlin group literally "rode" a music video production's CO2e down over 50% and its electricity consumption down 99%. See "pedal power" in action and the resulting video. Not necessary a technique for everyone, but a playful reminder that creativity knows no bounds in reducing media production impacts. Warner Brothers achieved a 14% energy reduction to save US$1M / year.